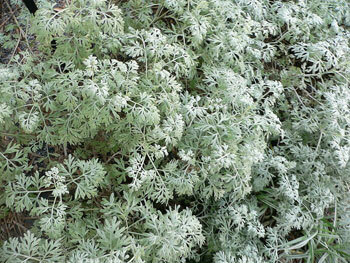 Artemisia is a large, diverse genus of plants with between 200 and 400 species belonging to the daisy family Asteraceae. Common names for various species in the genus include mugwort, wormwood, tarragon and sagebrush. Artemisia is named for Artemisia II, wife of King Mausolus of Caria, botanist, and medical researcher.